IT WAS supposed to be a foolproof plan to set a good example for the thousands of people that walk through Brisbane’s CBD every day — instead, the city council’s plan to train its workers on how to safely cross the road has been mercilessly mocked. Following a number of pedestrian-related accidents throughout the Brisbane CBD, the council is going to extreme lengths to improve the safety of its streets. Earlier this year, council slashed the speed limit throughout much of the city to 40km/h and the “left turn on red” road rule was axed at a number of intersections. But council has taken things a step further, releasing an interim report into pedestrian safety and revealing it would train its more than 7000 workers on how to safely cross the road. According to The Courier-Mail, the thousands of Brisbane City Council workers will be trained on how to properly press pedestrian buttons, where they should cross the road and encouraged to leave their phone in their pockets while near traffic. On the Today Show this morning, host Karl Stefanovic sarcastically said the training would be “money well spent”. In a statement, Brisbane City Council’s Infrastructure Chairman Amanda Cooper said they were looking at “practical measures” to improve safety. “As a responsible employer with a zero harm policy, council is developing a trial pedestrian safety campaign for employees to promote positive pedestrian behaviour and reinforce the importance on how to be safe road users,” Ms Cooper said. “Council is focused on improving pedestrian safety through trialling new safety messages, reinforcing current best practices and implementing practical measures to increase pedestrian safety. Last week, Lord Mayor Graham Quirk announced a number of changes the council was implementing in response to an interim report on the Pedestrian Safety Review. 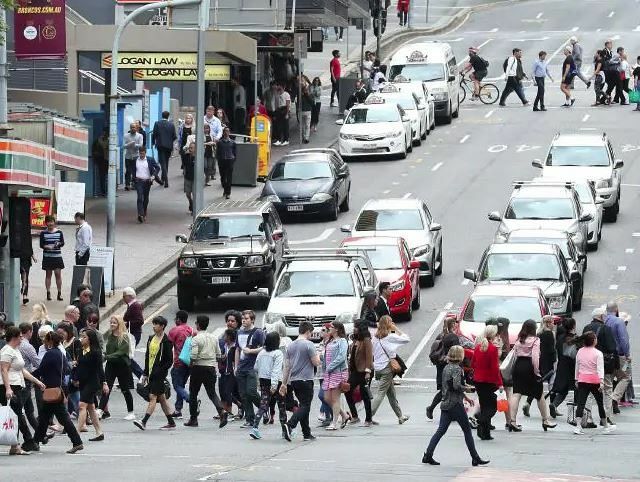 “Brisbane is a walkable city for both residents and visitors, but it is now evident from the number of recent pedestrian-related road incidents that more can be done to improve safety for pedestrians in both the CBD and suburbs,” Mr Quirk said. In the past five years, a 780m section of Ann St had been the location of 10 serious pedestrian crashes with speed identified as a contributing factor. A final report is due in late 2018 with council expected to implement a number of policies to improve pedestrian safety.